Health authorities are concerned there may be more dodgy clinics in Melbourne's north after three more were located. Health authorities fear there may be more rogue dentists operating backyard clinics in Melbourne's north. Three were found in suburban homes in Meadow Heights and Roxburgh Park after raids last week sparked by a tip-off. Victoria's acting chief health officer Dr Finn Romanes fears the unregistered clinics they found could be the tip of the iceberg, putting many at risk of contracting a blood-borne virus. 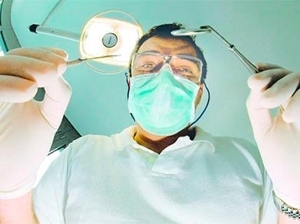 Muhammet Velipasaoglu was charged two weeks ago with several offences after it was found he was running a dental clinic in his Meadow Heights garage. d clinics all have links to the Turkish community.